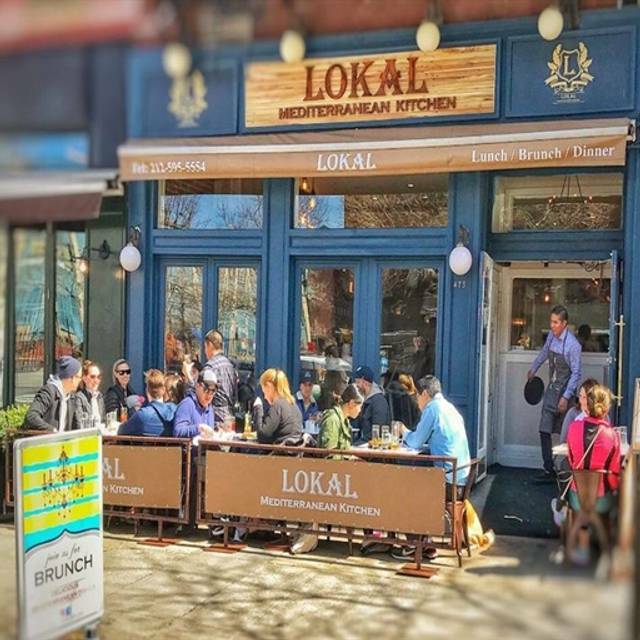 You must make reservations at least 5 minutes in advance of the time at Lokal Mediterranean Kitchen. Please contact us directly for catering inquiries. After serving the Midtown community we are now ready to open our doors to our lovely neighbors in Upper West side of New York City. Join us for our amazing lunch, brunch or dinner service with a full bar. I just wish you had actual pita bread (whole wheat of course) - - it would be so delicious with all your wonderful dips! My go to place, especially to bring out of towners. The food is always delicious, the service is impeccable - what a find! the grilled octopus was tender and delicious! lovely wait staff. nice ambience. The food is perfectly cooked and seasoned. I especially enjoy the small plate menu which includes caviar spreads and beet and yogurt. Truly a find. Casual, comfortable place and the delicious appetizer platter of several dips with scrumptious hot bread for dipping was unforgettably great, ample for 6 (we were 4 and plenty was left over). We will go back just for that (especially the whipped red caviar dip). We ordered main courses too, all very fresh and delicious, though we barely had room for them after the appetizer! So glad we made this excellent discovery! Excellent and will definitely be back. Lokal is an amazing restaurant, the food was outstanding. The environment was quite loud with chatter but not unbearable, will definitely be going back. OH and they have rose-sangria, so how can you not love this place?! Warm, friendly service- excellent food. Loved their salads! Perfectly done liver and calamari! 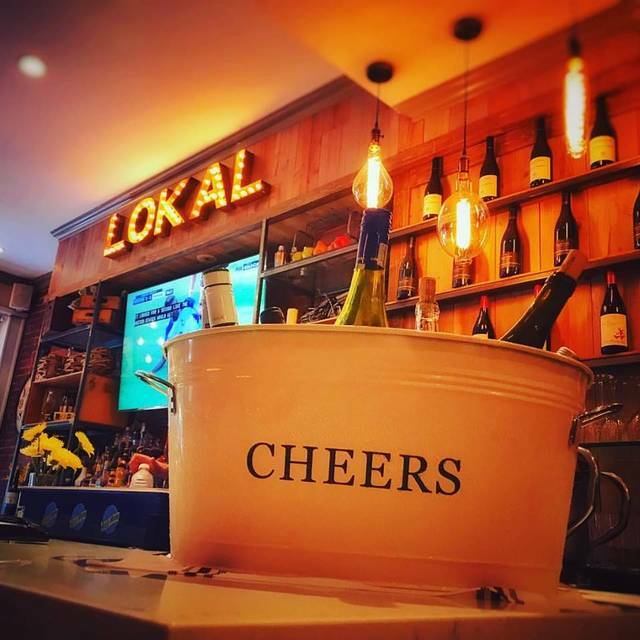 Lokal Mediterranean is a very nice cozy place with good food and hospitality. They serve you a delicious loaf of warm bread with sesame seeds which was a tasty way to start my meal. I had the cabbage rolls which were comforting. The service was very good as well. We always go to this upper west side restaurant when we are in NYC. My husband loves the grilled lamb chops. 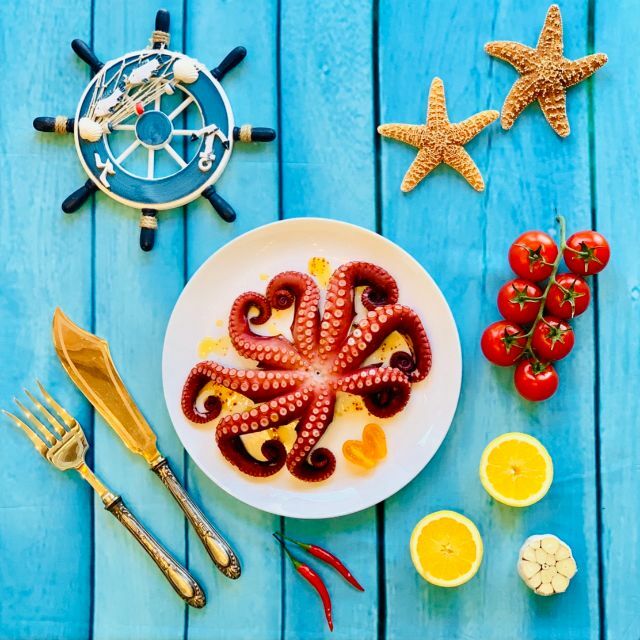 The pear salad, fried calamari, and grilled octopus are also great starters to share. Nice ambiance here, though admittedly a bit loud. Still easy to have a conversation though. Have brought friends here. Always a good experience. Don't miss the fried calf liver! Enjoyed it- great food !! 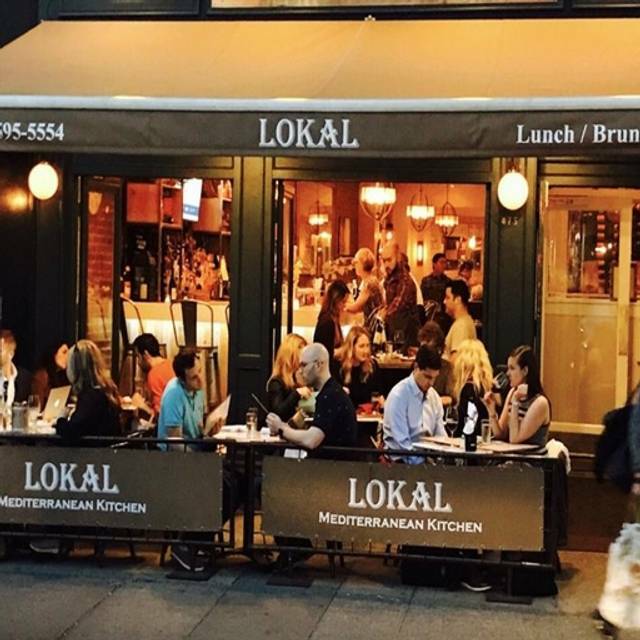 Lokal is a very welcome addition to the Upper West Side Restaurant scene. It is a large and busy restaurant with a diverse clientele. The owner and staff are welcoming and pleasant. The food is very good and plentiful and the drinks are also very good. 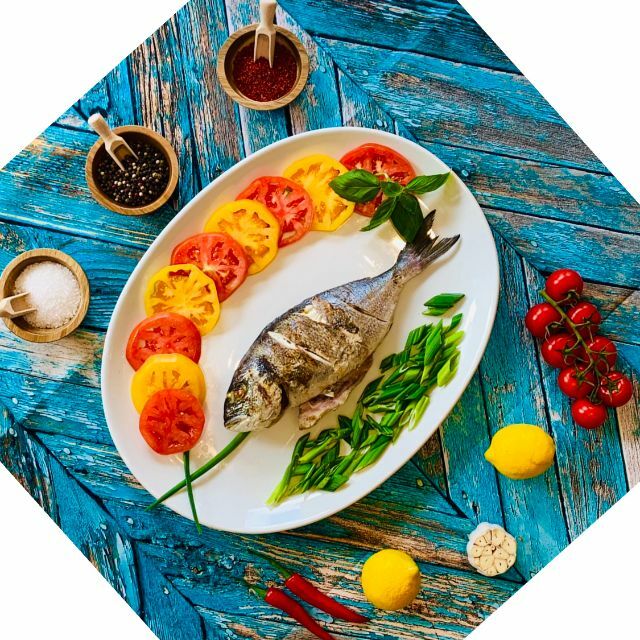 The food is largely Turkish/Mediterranean but there are also options for those who do not wish to venture into the exotic. 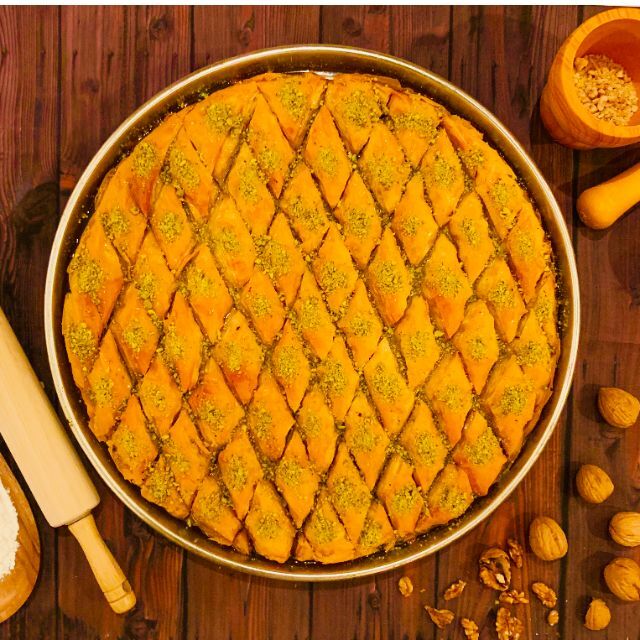 I have only tried the baklava among the desserts and thought it was excellent. Our group was looking for a relaxed yet professional location to have dinner with an interviewee. The staff was very prompt, professional, and engaging. Foodwise, the dips were great, and everyone enjoyed their meals. The tables are a little small (booth for four) considering orders consist of multiple plates. We will definitely be back. The tables are rather close to each other. Service is excellent. an overall pleasurable ambiance...hope they succeed!! Although not that new Lokal is new to us. A great find! Large portion of Shrimp/mushroom casserole and delicious sea bass. Both dishes freshy cooked and very hot. Zucchini pancakes delicious. Can't wait to go back. Very pleasant dining experience. Wait staff is highly attentive. The ambiance is really nice, gray place to socialize - very comfortable setting. Menu is interesting. Food quality is good, not great. Chicken paillard was cooked too long, same for the burger. I really want this place to succeed - some tweaks in the kitchen would make a difference. Good service, nice space but the food was just average and nothing special. The food was fabulous (we went for brunch and they take reservations!) and the the dining area is much roomier than most Manhattan restaurants. It’s my new favorite place in the neighborhood. Of the better ones. Nice ambience. Very solid food. I would definitely come back. I like the small plates and the dips - and the Bread!! Delicious. I take lots of people who come I from out of town there. It never fails to please. Thanks. Two out of two experiences so far of delicious food here, based on fresh ingredients. The recipes seem simple, yet the beauty of the fish or vegetable or broth shines through. Bread is served warm. Gracious servers were helpful with the ingredients of each dish. My experiences were very positive. I will be going back. Great tasty food! Good service! A real jem on the UWS. Will definitely come back! Had a wonderful dinner and intimate seating. Would highly recommend! The food was just okay. Nothing special. 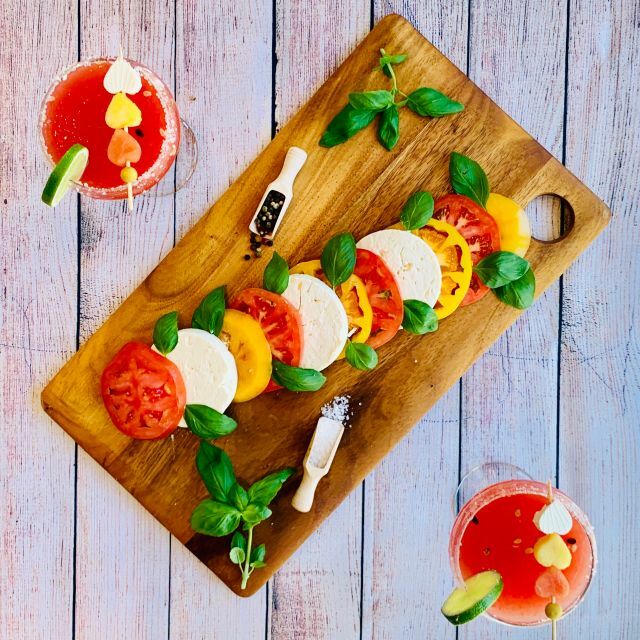 Delicious food and great wine selection! Courteous staff. Would definitely recommend and go back! Absolutely delicious food! Server was very nice but a bit distracted. Our drinks took a while to come out but she gave us complimentary baklava for dessert, which was heavenly! Friendly, comfortable atmosphere. Tasty healthy food. Very good restaurant. I would have rated it quiet but there were a group of 5 young women who thought they were the only people in the restaurant and were very loud. Management should consider asking people who are very loud and interfere with others having conversations to please lower their voices. I have been here 4 times in the last few months and each time the food was outstanding, fresh and delicious. The service is friendly and knowledgeable. Helpful with food choices as well as wine choices. Nice wine selection. Prices are reasonable. You can order small dishes and/or larger entrees. Overall, love the place and would definitely recommend to anyone who enjoys Mediterranean cuisine, and those who don't? Give it a try! Average cuisine in a nice setting. Nothing special, but will do in a pinch. The bread is amazing. Lived the chicken kebab and the baba famous. Great service - very friendly neighborhood place.